State Senate Candidate Erin Calvo-Bacci Hosted a discussion with local women business owners. WAKEFIELD, Mass. 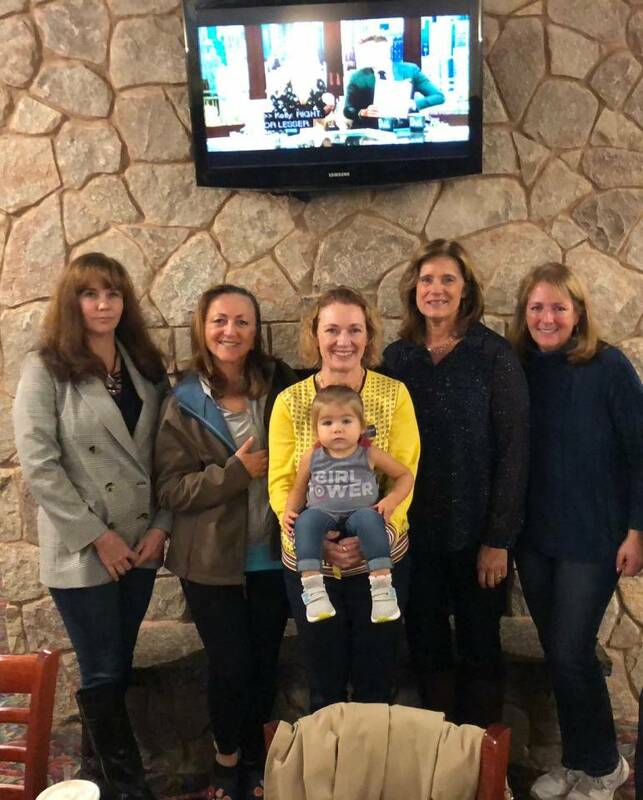 - Oct. 30, 2018 - PRLog -- Small Business owner of the local chocolate manufacturer CB Stuffer and former owner of The Chocolate Truffle, Erin Calvo-Bacci hosted women business owners at Brother's Deli in Wakefield in celebration of National Women's Small Business Month. The businesses in attendance were Barks and Bubbles, Greenwood Wine & Spirits, The Hitching Post, Rada's and Posthumesly Lubie's Jewelers and CB Stuffer. Women entrepreneurs are the fastest growing business segments and typically represent more than 50% of the Main Street Businesses. Successful women entrepreneurs are contributing greatly in their communities and serve as solid role models for other women and younger generations. Unfortunately there needs to be more support for these businesses which benefit the local economy and less burdensome regulations such as mandated paid sick days, rising health insurance costs and increasing minimum wage. For these business women they've all typically paid their staff more than minimum wage, but are concerned with how much more can they go up and still stay in business because when the pay goes they have to charge more for their products and services. Then there's the healthcare cost. "I'm fortunate to have coverage under my husband's plan, but that will change when he retires and then the health insurance costs for me and my children will be so high I will have to close one of my stores and cut back on my staff," Stated Rada Frohlichstein, owner of Rada's in Wakefield and Melrose. Entrepreneurialism is important to our communities because it accelerates economic development and social impact. For women it's a way to lean in, have more control over their income and create gender equality. My personal story of how I have made difficult decisions such as: selling our Wakefield home and moving a family of 5 into a two bedroom apartment above one of the retail stores, scaling back from three retail locations to one and then selling and rebranding as an online retailer resonates with other small business owners. It resonated in a unified booming angry voice towards our legislators at Small Business Day on Beacon Hill. Success breeds success which is why our small businesses need our support more than ever especially when we have so many working against us. National Women Small Business month is a great reminder to support all of our local businesses who support our communities through jobs and often charitable donations. Our legislators need to do a better job of supporting them too which is why I'm running for State Senate in the fifth Middlesex District.